January is National Mentor Month, a perfect time to connect with a counselor/mentor at the U.S. Small Business Administration. Lower Rio Grande Valley District partners provided counseling and training to 9,094 small businesses in 2017, and helped create or retain about 481 jobs. These partners also helped start 111 new businesses. Mentors can be invaluable to small businesses. After all, it can be overwhelming to juggle dozens of responsibilities and roles at once. SBA mentors can help develop a business plan, obtain licenses, find the right lender and develop a marketing strategy to reach new customers. Paola Carmona, owner of Pao Carmona Photography in Brownsville, secured financing and tripled the size of her studio after seeking assistance from mentors at the Women’s Business Center of Cameron County. The WBC assisted Carmona with developing a business plan to secure a $15,000 microloan through LiftFund, a nonprofit loan fund committed to empowering small businesses with limited access to traditional sources of credit. Carmona said the business plan helped her to organize her ideas and understand the steps she needed to take, as well as focus on where her business stood and determine where she wanted to be for her business to grow. With the $15,000 loan, Carmona relocated her photography business to a larger building and invested in more inventory. 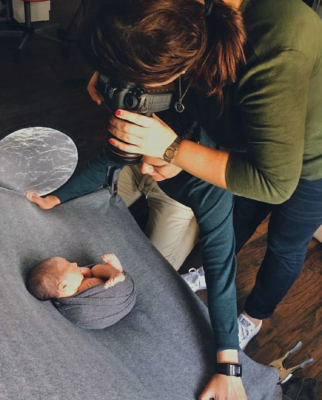 Pao Carmona Photography can now accommodate more clients and sales have increased by 166 percent in the new downtown studio. She specializes in newborn, children, family and maternity portraits. According to an SBA Office of Advocacy survey, only half of all small businesses survive more than five years and about 10 percent to 12 percent of all employee-based firms close each year. This punctuates the advice to connect with a small business mentor who can be a game-changer for small business. Research proves that small businesses that receive three or more hours of mentoring achieve higher revenues and increase business growth. Even better, according to a 2014 survey by The UPS Store, 70 percent of small businesses that receive mentoring survive more than five years, double the rate of non-mentored businesses. Small Business Development Centers serve more than one million small businesses and aspiring entrepreneurs each year through free face-to-face business consulting and low-cost training. Funded in part by the SBA, SBDCs represent the most comprehensive small business assistance network in the United States. Locally, The University of Texas Rio Grande Valley SBDC is located at 1407 E. Freddy Gonzalez Drive in Edinburg, 956-665-7535, utrgv.edu/sbdc. Women’s Business Centers are part of a nationwide network that provides business training, counseling and other resources to help women start and grow businesses. Tied closely to the SBA, WBCs also advise women about business financing such as SBA loan programs. The Women’s Business Center of Cameron County is located at 1600 University Blvd., Brownsville, 956-542-5322, wbc-cc.com. SCORE volunteers are trained to serve as counselors, advisers and mentors to aspiring entrepreneurs and small business owners. SCORE Rio Grande Valley is located at 2422 E. Tyler Ave., Suite E, Harlingen, 956-427-8623, riograndevalley.score.org. Veterans Business Outreach Centers provide training, advice, mentoring, business planning assistance and more. Funded by the SBA, there are 16 centers across the United States ready to help. The University of Texas Rio Grande Valley VBOC is located at 1407 E. Freddy Gonzalez Drive, Edinburg, 956-665-8931, utrgv.edu/vboc.